There are numerous instances when a physical exam is required, such as prior to starting a new job, enrolling in school or joining a team sport. Need a physical on the fly? Come in to Urgent Medical Center for a physical exam today. We offer affordable, fast and thorough physicals with no appointment necessary. 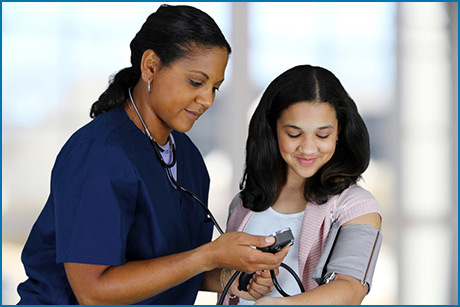 Physical exams are usually required to enroll in school or start a new job, among other things. A physical ensures you are healthy enough for a certain activity or job. Not only are physicals a requirement but they offer an ideal opportunity to gain peace of mind and stay on top of your heath. What Happens At A Typical Physical Exam? A typical physical exam is nothing to worry about and simply includes an overall evaluation of your health. You can expect to have your height and weight measured, as well as blood pressure, pulse and heart rate. Eyes, ears, throat, lymph nodes and lungs are also checked to make sure you are healthy. The provider will also feel around your stomach to check for any abnormalities. A few basic neurological tests may be conducted to check for muscle strength, reflexes, balance and mental state. Certain physicals have different requirements. For instance, DOT exams require a urinalysis and a hernia exam, which may be uncomfortable for some but is quick, painless and necessary. If there is anything of concern the provider may approve your activity but only under certain conditions, such as taking a particular medication. If you have been injured in the past our provider will offer insight as to how you can prevent reinjuring yourself in the future.